We’ve all been there. So busy and exhausted that you just can’t make it into the salon to have your roots touched up. You’re embarrassed that your natural hair is showing through, but you just can’t bring yourself to make an appointment. My solution? The usual, tying my hair up in a top knot and trying to make it seem like I’m going for the grown out ombre trend. 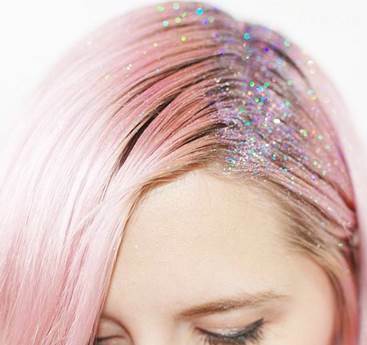 But recently, lazy girls everywhere are embracing the newest trend in root touch ups: glitter roots. 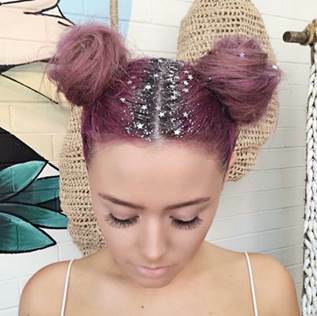 Yes, putting actual glitter mixed with gel onto roots to hide them. Not to mention, I’m having flashbacks to arts and crafts time in elementary school where glitter would just get EVERYWHERE. Its physically impossible to clean up, and you just end up finding sparkly remnants stuck to everything for weeks. So if the time between salon appointments goes a little too long, please just opt for a hat and save yourself the trouble of this crazy cover-up!